Tommy Bryce, started his second spell as Glenafton manager facing another of his former clubs Troon in the annual pre-season Joe Meldrum Trophy. 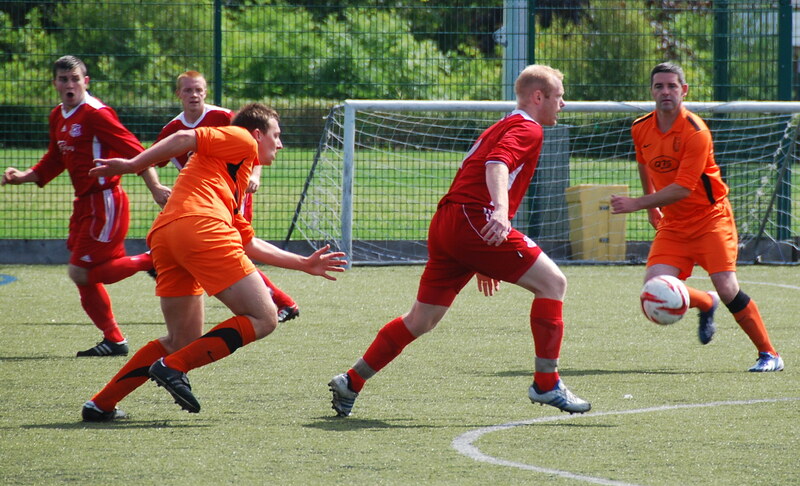 With the Loch Park pitch undergoing renovation the match was switched to Greenwood Academy, Dreghorn. All three of the Glens summer signings – keeper Brian McGarrity and midfielders Findlay Frye and John Craig were in the starting eleven and so too former Kilbirnie and Pollok player Stevie Miller, who played as a trialist and was signed up after the match. The Troon squad included Cameron McKinnell, Dougie Ramsay , Tony Murphy and Dale Moore, all with Afton connections. In an extremely competitive match both sides gave their all in the sweltering July heat which at times it seemed was in danger of melting the plastic pitch! Chances however were thin on ground with the Glens having the best of these early on. 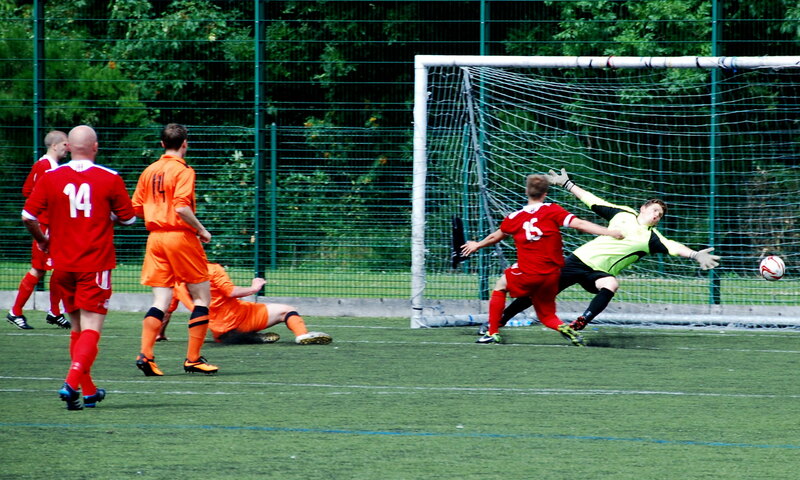 First through a Glen Mitchell header from a corner kick and then a drive from the edge of the box by brother Danny; both of which were saved well by keeper Marty Fraser. On 25 minutes Gareth Armstrong picked out Stevie Miller deep in the box, who did well to see off the close attention of McKinnell before trying to guide the ball home only for the keeper to come out on top again. 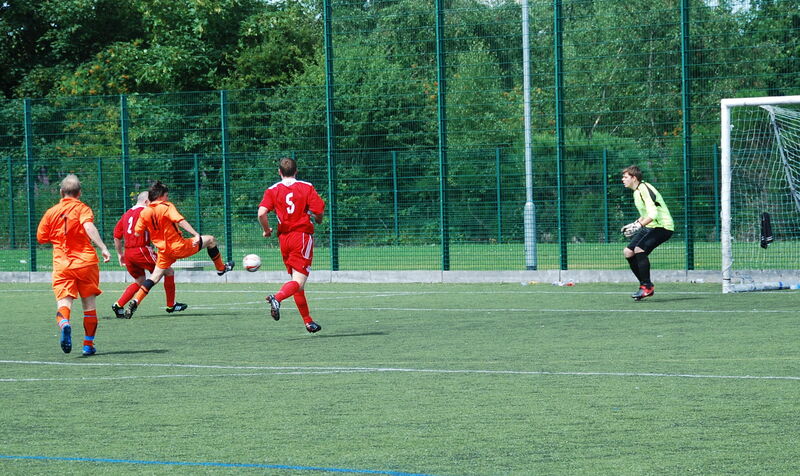 It was to be the last real action for Miller who soon after picked up a bad knock and was replaced by another trialist. Both sides made changes and for the Glens, Ryan Dunsmuir replaced Brian McGarrity in goals, Ross Robertson came on for Gareth Armstrong and trialists replaced Craig McEwan and John Craig. 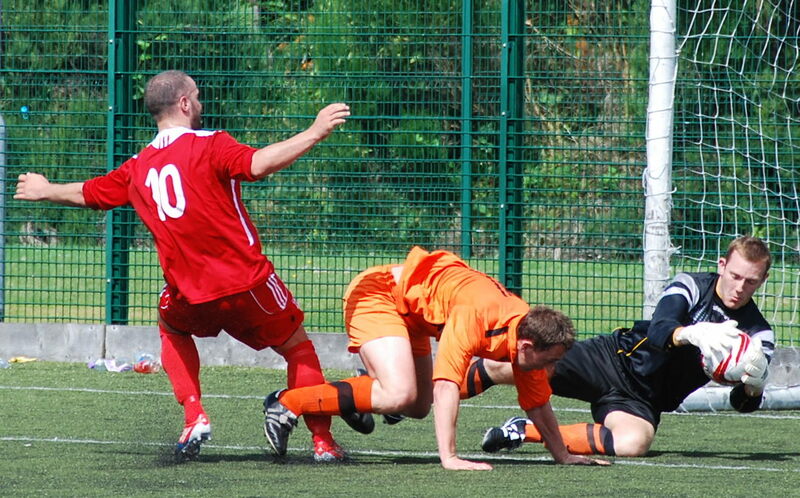 With the half-time oranges consumed the Troon Tangerines began brightly and within three minutes took the lead after winning possession through Calum Hardie deep in the right wing the ball was played across the face of the goal where former Glenafton youth player Dale Moore took an excellent touch before drilling the ball in at the far post from six yards out. Glenafton carved out a couple of half chances to no avail as soon after Tony Murphy, another former Afton lad, and Moore combined well down the left before cutting the ball back for trialist Jordan Muir,on the edge of the six yard box to slot the ball beyond the reach of Dunsmuir and double Troon’s lead. Troon continued to push for a third while the Glens best efforts in the closing minutes came from Paul McKenzie with a couple of shots from outside the box but just off target. Glenafton: Brian McGarrity (Dunsmuir); Craig Potter, Craig Menzies, Glen Mitchell, Craig McEwan (Trialist); Findlay Frye, Paul McKenzie, Danny Mitchell, John Craig (Trialist- Andy Bell); Stevie Miller, Gareth Armstrong (Ross Robertson). Troon: 1 – Marty Fraser, 2 – trialist, 3 – trialist, 4 – Neil McGowan, 5 – Cammy Mckinnell, 6 – Dougie Ramsay, 7- Neil Sanderson, 8- Tony Murphy, 9- Stevie Wilson, 10- Darren Baird, 11- Dale Moore. Subs Darren Johnson (gk) Dean Keenan, Neil Slooves (trialist) Jordan Muir (trialist), Calum Hardie , Roddy Paterson.